Evidence-based Medicine (EBM) is the integration of best research evidence with clinical expertise and patient values. A major task of EBM is to assess the quality of clinical research and whether the results can be applied to a particular patient. High quality research minimizes error due to chance, bias, or confounding. The proper application of results of diagnostic test studies or therapeutic trials to individual patients is another important EBM skill. This workshop will build on the important foundation of clinical expertise by expanding the clinician’s capacity to understand, assess, and apply results of clinical research studies that focus on risk, diagnosis, treatment, and prognosis. These skills will help improve clinical decision-making, clinical teaching, healthcare policy, and communication. Correctly interpret and calculate test characteristics (sensitivity, specificity, accuracy, likelihood ratios) from different data sources. Combine diagnostic information from multiple tests. Expose common myths about diagnostic tests. Appreciate work-up bias and bias from indeterminate results. Accurately interpret an ROC curve and identify best cut points. Appreciate the power of presentation style on data interpretation. Describe when odds ratios approximate relative risk and when they don’t. Calculate NNT and risk difference from relative risks and odds ratios. Apply universal principles to make decisions about when it is best to observe, test, or empirically treat. Understand the risks and benefits of subgroup analysis. Understand the risks and benefits of meta-analysis. Correctly interpreting P values and confidence intervals. Biased outcome measurements due to sticky diagnosis or slippery linkages. 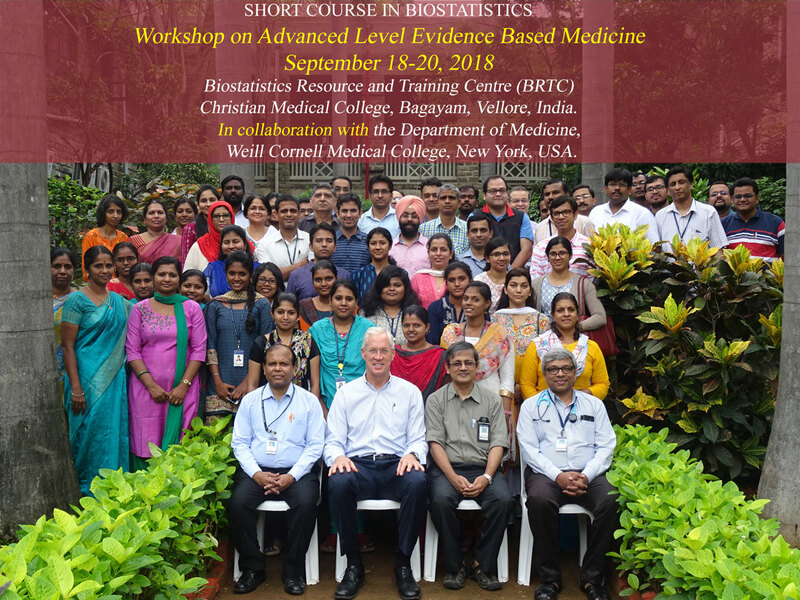 This course is tailored to medical, allied health professionals, nonmedical faculty, and researchers actively involved in clinical epidemiology, clinical research, clinical care, or clinical teaching. Each participant will be randomly allocated to a group and the group will be assigned a research question and given background materials to develop a protocol. Each group’s protocol development process will be facilitated by a mentor. Each group will be asked to present their protocol orally to the rest of the groups and faculty for discussion. Course kit will be provided. Participants will be given a free copy of diagnostic test software (Dx-Test). Course Fee should be paid in full by September 10, 2018. • Bias in interpreting treatment results based on the measure used. • Biased types of outcome measures: 5-year survival, disease-specific survival, etc.